Hello everyone! 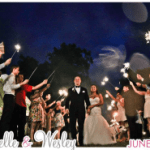 Today, I have an article from my blog friend Rachel. Wes's mother and 13 year old sister were both diagnosed with diabetes within the last two years, so I thought this was a great addition when Rachel suggested the topic. In the summer of 2011, a lot of things happened that changed my life forever. In the course of a few months, I graduated from with my bachelor's degree, got married, landed my first “big girl” job and was diagnosed with type 1 diabetes. 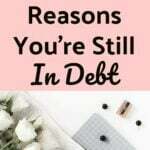 As newlyweds, my husband and I were in the process of merging our stuff and our finances, as well as adjusting to our new full time incomes and looming student loan debts. We'd set up a budget and a plan to start chipping away at that debt, and then I found myself at the doctor's office thinking I had the stomach flu, but a diagnosis of type 1 diabetes (formerly and more commonly known as juvenile diabetes) landed me in a hospital bed for three days. Thankfully, I was still covered under my independent health insurance plan that I had joined in college when it became more expensive to stay on my parents' plan than to get my own. The hospital worked with us on setting up a payment plan for the three day stay. But the reality was our lives and our budget would never be the same. If they cured type 1 tomorrow, I'd be over the moon, but right now my diabetes is a certainty and it needs its own priority in our budget. This is the biggest tip I can give. 2. Know your insurance plan. My husband and I are in a pretty good place insurance-wise that we could pick his employer's plan or my employer's plan for both of us, split it up or go completely independent. We did the research on both plans and got quotes for several different independent plans to find the best coverage that will let me keep the insulin pump and continuous glucose monitor that I use as well as stay with my same medical team (Last time I counted, I have eight medical professionals on my “team” most people have three or four). 3. Use your insurance coverage. This seems like a no brainer, but some people don't know that their plans cover more than just doctor visits and medicine. Some plans cover other items such as glucose test strips or supplements. 4. Adjust your grocery budget. Diet is a big part of living well with diabetes (of all types) and other medical conditions. For us, we need to buy lower carb foods and items like bread and pasta that are lower in carbs are higher in cost. 5. Be wise with taxes. We're on a high-deductible health plan and can take advantage of a health savings account that lets us pay medical bills with pretax money. Also, look into whether you can claim mileage to doctor’s appointments and medical expenses paid with after tax dollars on your tax returns. 6. Ask for what you need. Before you spend the money on a new prescription if you and your doctor are changing your health management strategy, ask for sample of the new medicine. Also ask for the best timing for you and your budget. I asked my doctor to squeeze me in for a late December appointment since I'd hit my deductible and coming right after January 1st would cost us a lot out of pocket right after the holidays. She happily fit me in. Some doctors think about the costs and timing, while others don’t. 7. Use generic when possible. This is a good option for anyone. Unfortunately there isn't a generic option for my insulin, but for other medications that I have to take generic is way cheaper. 8. Don't let your health suffer in order to save money. For me, if I skimp on glucose monitoring (test strips cost approximately $1 per strip, each test uses one strip), insulin or opt to use syringe injections over my insulin pump (personal decision) my own health will suffer and I'll open myself up to complications in the future that will cost much more and ruin my quality of life. Because we have a high-deductible insurance plan, we can know exactly how much my health care will cost us each year. That makes it easier to plan our budget and be smarter with our money. Having a chronic health condition can definitely impact your budget and I've dealt with a lot of unnecessary financial guilt over how much my health costs my family. But at the end of the day, I have to look at my medical costs as an investment in my health and future, even if that means we can't pay off our student loan debts as quickly as we'd like to. Author bio: By day, Rachel works in agency public relations. By night, she blogs about marriage, home ownership, creative projects including clothing refashions, living well with type 1 diabetes and a variety of other things at probablyrachel.com. 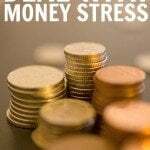 Dealing With Money Stress – It Can Impact Your Health, Job, and Family! It s not easy to live the with the diabet everyday, I know it because my husband is suffering with the diabet,he discoverd he was sick a few years ago because he was alaways thirsty, alaways driking, and had many bad symptoms..but now and since we found this diabet, I m taking care of him ,giving him the medines 3 times a day,watching that he alaways eat sugar free meals…less sas possible.But you have right , it s expensive to have the iabet, not only for the medecines, the doctors and so one (he also have cholesterol, and in french hypertension)no, but also for the special food we buy…because nowadays everything you find in the shopping and that is not so expensive is often with sugar.I really hope everything is allright for you my dear. Thank you Helena! It can be a lot of work to live well with diabetes. It’s nice that your husband has you to help in caring for it. My daughter was diagnosed with Type 1 diabetes when she was just 4 years old. Its been a massive steep learning curve but she has been very brave and we have not let it affect how she lives her life. We live in the UK, so a massive bonus for us is our healthcare system, the NHS. You really don’t appreciate something like this till something like a chronic disease affects yourself or a love one. We don’t have to worry about rising insurance premiums and we receive all treatment and medication for free. I’m so glad that you can receive the medications and treatments for free! It seems like the UK also receives the newest technology first. I think the most important point you hit on is “Don’t let your health suffer in order to save money.” This is such a critical point. A lot of people risk their health in order to save a few bucks. 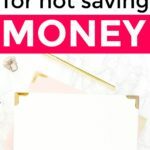 It’s different if you just don’t have the money for treatments or medications – this is why I think having a good health insurance is so important – but if you just want to save money, then you’re making a huge mistake… you can’t take it with you. Exactly! Health has to be a higher priority than money. I’m so grateful for my health every day because I know something like this can come up and change everything in a moment. Thanks for sharing. Great tips on evaluating your health insurance options. Our son has a chronic condition, but our high deductible plan pays 100% of his maintenance drugs. Which is better than if we had opted for a more expensive plan with copays. Coverage for maintenance prescriptions would be so valuable! Thanks! One of my good friends was diagnosed with Type I diabetes about two years ago and it dramatically changed his life. His entire daily routine had to change, as well as his mindset in making everyday choices. I’ve seen how huge a commitment and life overhaul it is, so I’m happy to hear that you are taking your health seriously and don’t make it a priority over money as I’ve seen it go the other way. Thanks so much for sharing and promoting the importance and seriousness of health and medical issues. My best to your friend. Nothing is ever the same after a diagnosis. It made me so much more conscious of each decision because the consequences are amplified. #8 is something I need to be constantly told. I ignore my health because I don’t want to “waste” money on co-pays or braces or whatever else my tendinitis entails. Think of it as an investment in yourself, your future and your well being. I know a lot about this topic. My brother is a type 1 diabetic and has been since age 4. I was his primary care-giver for most of his childhood. I pray for a cure everyday and I hope that he is taking care of himself like he should now that he’s an adult living on his own. Your brother is very lucky to have a sibling who cares so much about him. Thanks for the comment! Great article. My son is 17 now and was diagnosed with type 1 diabetes two days before his 13th birthday. I work for a small company and they tend to change health insurance providers almost every year in an attempt to keep costs as low as possible. I appreciate that, except it’s always a steep learning curve to figure out the new benefits. Diabetes is a very expensive disease. It’s a constant struggle to ensure he is taking care of himself (super tough for a busy teen and keeping him focused on his health) and battling the financial aspects of it. 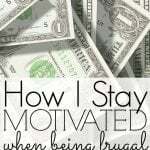 I think I will share this article with him as motivation. Thanks Holly! I’m grateful to be in a stable place insurance-wise for now… there’s murmuring of insurance changes which would restart the research. Share away! 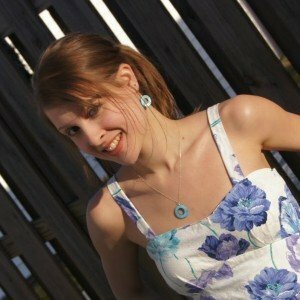 There’s a whole community of Type 1 folks online, it’s nice to not be alone.